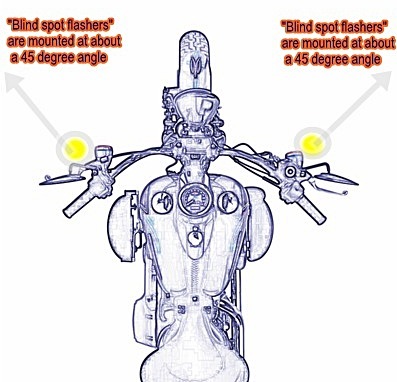 What product did you use for blind spot flashers? Hi Jae, Search on ebay for “44 LED emergency flasher” and you will find the one that I have. I paid $3.99 plus $1.75 shipping. You can use most any emergency flasher. Make sure you comply with your local codes. Where I live, you can only have amber in front and red in back. I think, too , that only normal flashing is legal – not the wig-wag and other patterns like police use. -Les S.